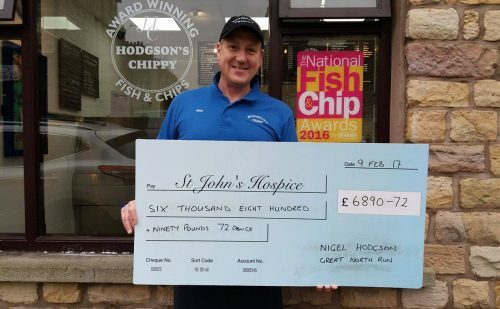 Local fish and chip extraordinaire, Nigel Hodgson, had a very busy 2016 fundraising for the Great North Run. 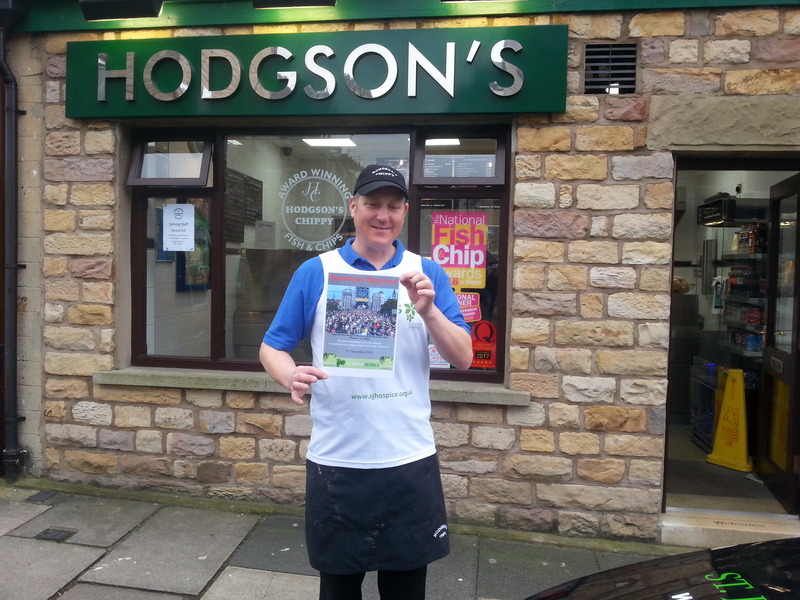 It was an absolute pleasure to meet with him this week and we can now announce that he has raised a fabulous £6,890.72!! This amount could fuel our Hospice at Home nurses’ vehicles to travel to all corners of our community (from Garstang right up to Ambleside) for over 2 months! 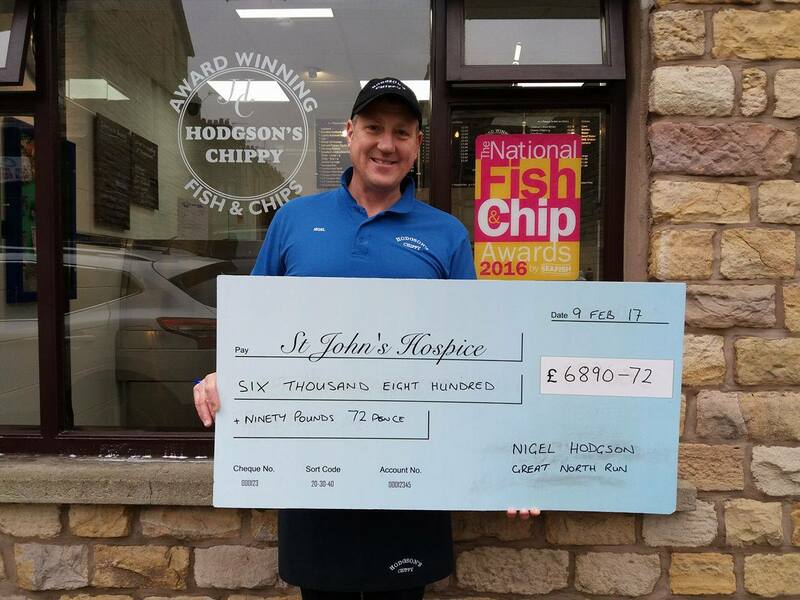 Everyone at St John’s Hospice would like to extend their sincere gratitude to Nigel and everyone who helped and supported him. Have you applied for a Great North Run 2017 ballot place and been unlucky? 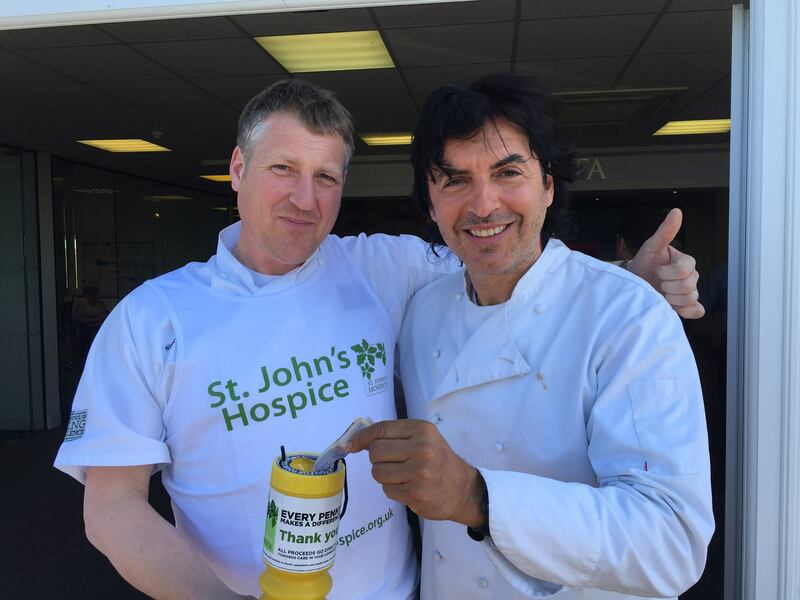 Would you like to join team St John’s on 10th September 2017 and help raise valuable funds for our local hospice? 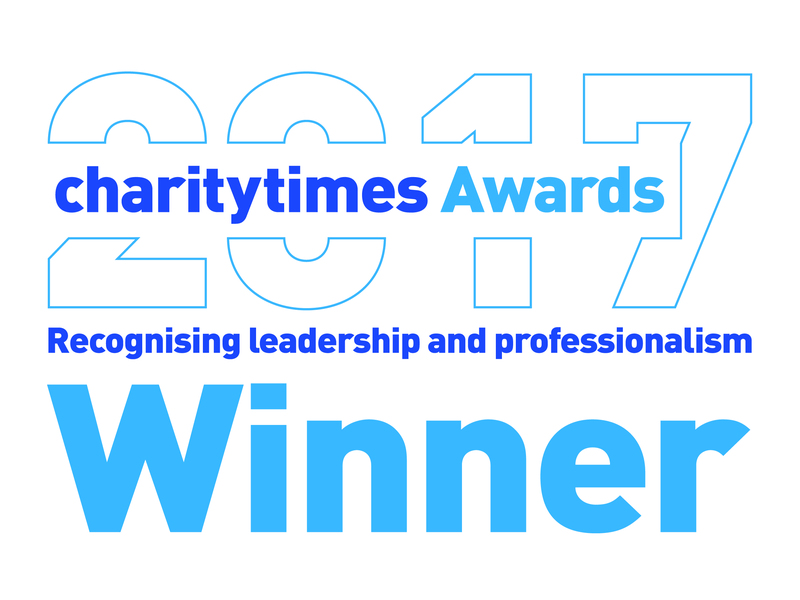 We would love you to join us, and we have 10 charity places available. Please visit www.sjhospice.org.uk/greatnorthrun to complete an application form. If you have any questions please call Karen on 01524 382538 or email [email protected] for further information. 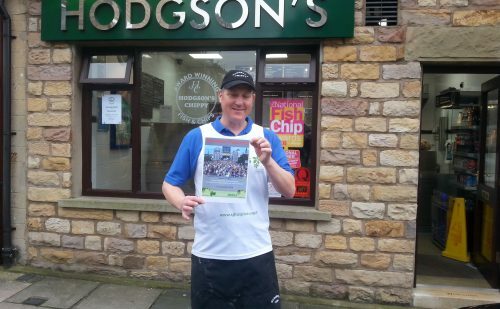 Last year we had 7 fantastic people in our team raising over £9,200! If you have already secured a running place through the ballot, and would like to join the St John’s team, please contact Karen… The more, the merrier!!! 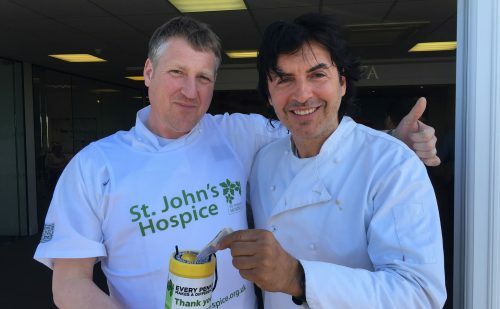 Nigel even got a donation from celebrity chef, Jean Christophe Novelli!